At Advanced Foot & Ankle Specialists of Arizona, our treatment philosophy is to focus on minimally invasive options that allow patients results with quickest recovery possible. Occasionally, however, persistent foot or ankle pain may deem it necessary to consider more aggressive treatment options. Surgical intervention is rarely the option we turn to first, but for chronic pain and discomfort that has not responded to more conservative treatment, it may become the most viable treatment method available. The human foot and ankle can often play host to a variety of complex problems rooted in bone structure and nerve health, many of which may require surgery to address the root cause of pain and discomfort. If you have suffered long enough trying to cope with chronic foot problems, our team of Phoenix Valley foot and ankle care specialists are ready to help you tackle your pain once and for all. We work with several area hospitals to offer you the finest care and technology during your surgery, as well as offer comprehensive recovery, therapy, and follow-up to ensure that your surgery is a success. Many of our procedures are minimally invasive, and offer nearly instant results and relief. Are you ready to say yes to healthy, pain-free feet? Keep reading to learn more about our foot and ankle surgical options. Bone Spurs, Bunions, Hammertoes, and Other Bone and Joint Pain. Deformities in the bone can be very painful, especially in and around joint areas. With surgical intervention, the underlying cause of foot pain associated with common problems like bone spurs is eliminated, allowing patients freedom from a lifetime of pain management. Nerve Pain and Damage. From uncomfortable neuromas to tarsal tunnel nerve issues, surgery may be able to alleviate pressure and swelling that more conservative treatments could not. Arthritis Pain. Arthritis is not just an ailment of the aging; it can also affect younger individuals with previous injuries to a joint, or those who suffer from rheumatoid arthritis. 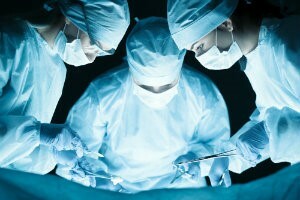 When standard pain management methods have failed you, surgery may offer the relief that you have been searching for. Serious Injury Repair, Including Sports Injuries. While casting and immobilization may work effectively for simpler fractures, more complex fractures and crushing injuries may require reconstruction and internal reinforcement, such as plates or screws. Make sure that your injuries of today do not become lifelong problems by quickly addressing the problem. Flat Foot Reconstruction. Fallen arches and misaligned feet can cause pain in other parts of your body, including your legs and back. For serious pain related to flat feet, surgery can offer the chance to rebuild the important support structures in your feet. Tendon and Ligament Repair. Left untreated, damaged tendons and ligaments can lead to further foot pain and problems. For gravely hurt or torn tendons and ligaments resulting from sprains and strains, surgery may become a last-resort option to repair serious damage. While our practice’s primary focus is achieving results with the most conservative treatment method available, surgery can be a very effective way to solve serious, chronic problems. Our doctors will meet with you and run a full spectrum of tests to ensure that surgery will achieve the results that you are hoping for. We believe in keeping you fully informed and confident in your procedure, and hope that our approach can offer you optimism for a life without pain. To schedule an appointment with us, call our Gilbert (480-981-1800) or Chandler (480-963-9000) office today.